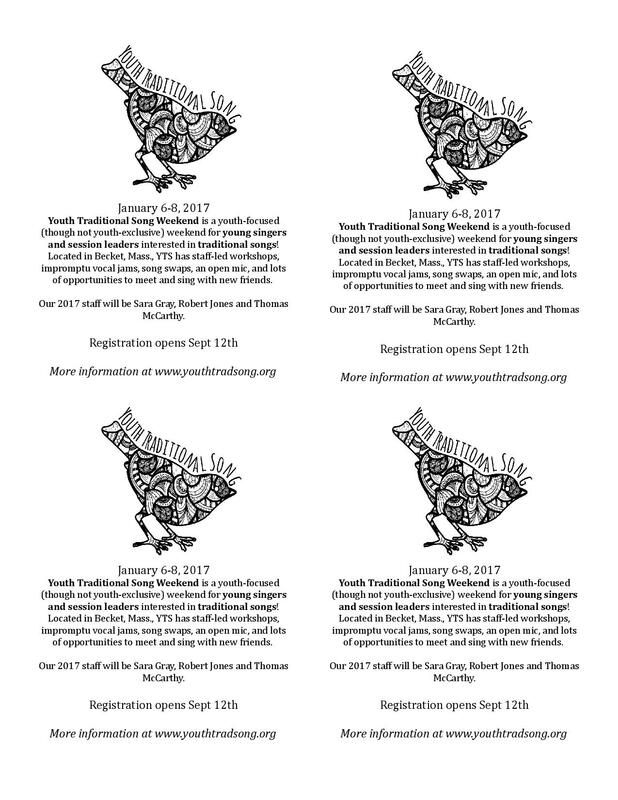 Here's our 2019 Quarter Page Flier! 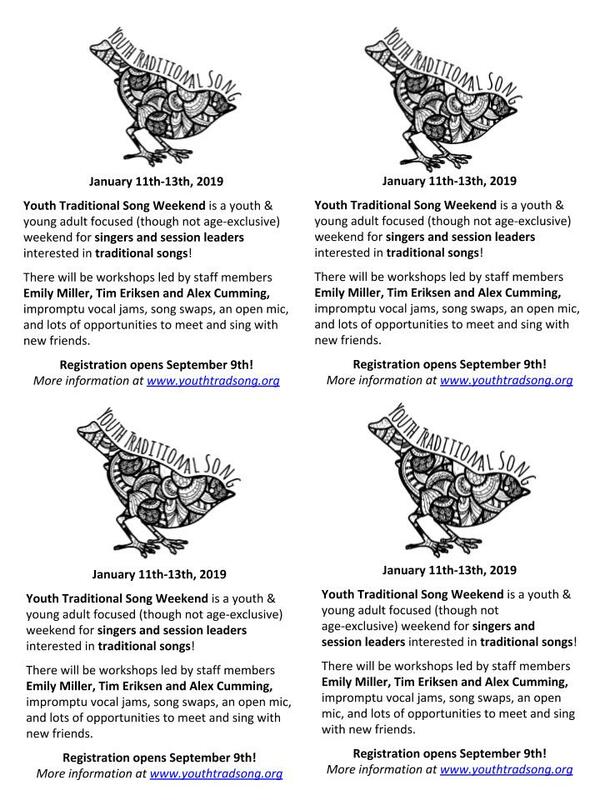 You can help us out by bringing a bunch to your local folk activities, your college music classes, your friends' houses, or any place you think people would be interested in YTS. And you can encourage them to join our mailing list to stay in the loop.